Making the most use out of small spaces is often a challenge met by Closet Works designers. 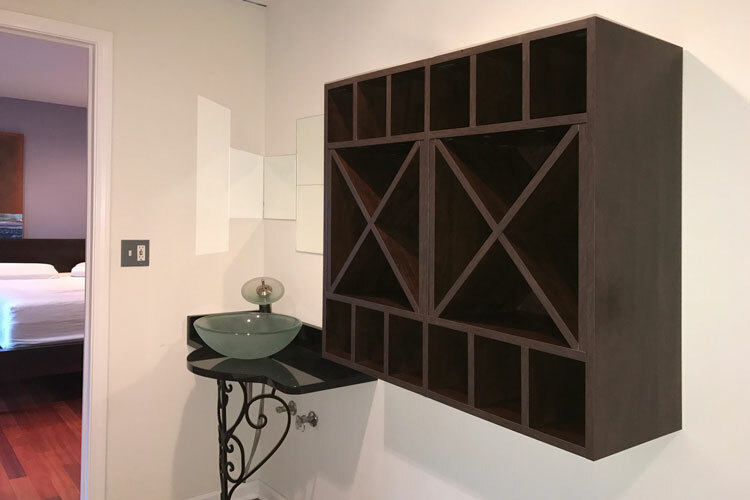 In this client's home, a compact bathroom presented an area of unused wall space to welcome the perfect solution of constructing a wall unit storage system for towels and bathroom items. The simplicity, symmetry, and versatility of the design is striking. 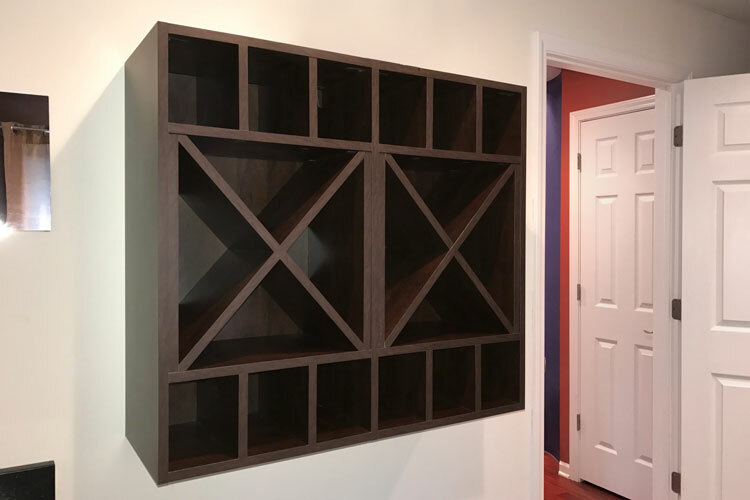 Wine cubes demonstrate a flexibility for towel storage and cubbies offer an organization system for tolietries and small items. Closet Works Offers Endless Customization! 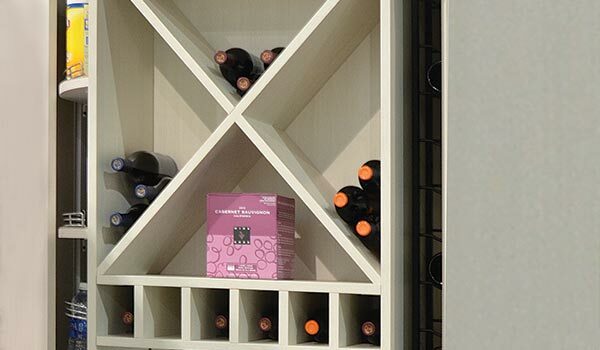 Wine cubes can provide a variety of different uses — storing towels in the above design rather than bottles.